The more complex an application is, the more efforts could it generally take to detect and handle all the possible bugs and efficiency issues. Modern applications are so complex that it is hardly possible to ensure the product is well-tested by performing manual testing, or testing just a subset of features (i.e. analyzing the application behavior in a subset of possible input data). To develop efficiently, all the phases of software development should be optimized and automated as fully as possible. All the development process should be planned in a manner assuming the automation on every step.After the first stage of application development, building stage, is complete, the second stage, testing, requires ensuring that every line of code is verified against real-life data. 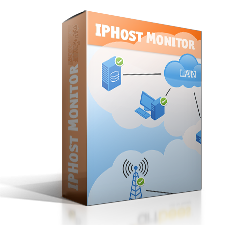 IPHost Network Monitor is the tool simplifying and speeding up the development on its every stage, from development through testing up to monitoring its real-life usage. In case of real-time development process (when the application is both developed and used at the same time) IPHost Network Monitor allows to optimize the whole process by preventing downtimes and detecting all kinds of faults. If the monitors are set up properly, they would react to any non-standard application behavior (from abnormal termination to consuming too much resources), thus providing valuable feedback data for software developers and allowing them to detect possible bugs on early stages of development. For example, monitoring CPU and RAM usage allows to select time intervals when performing updates/maintenance works will not affect negatively business processes relying on the application in question: downtime or efficiency decrease could be of very short duration or absent at all. 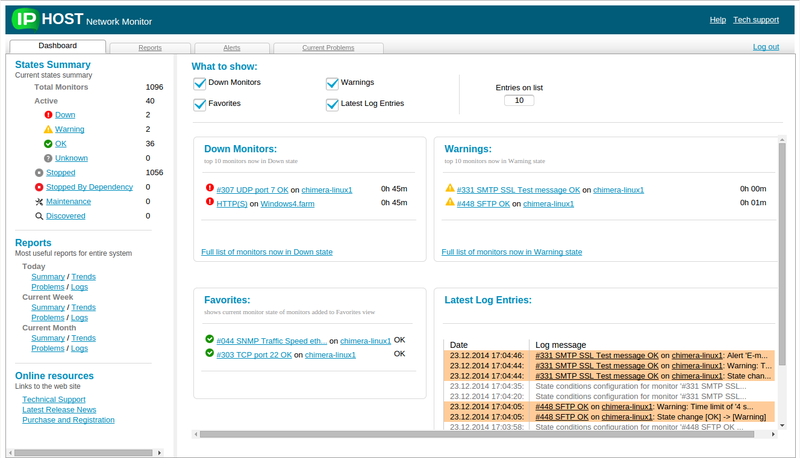 IPHost Network Monitor can be used in stress testing of new or modified code. If monitors are created in a manner allowing to call certain modules/parts of the application, the weak chains can be easily detected: IPHost Network Monitor can easily simulate high load condition by creating similar monitors with short polling intervals. The above assumes that build-test-deploy paradigm is in effect. However, monitoring is generally of use for any development scheme. Below we list several network monitor types that can be of particular use for development purposes. 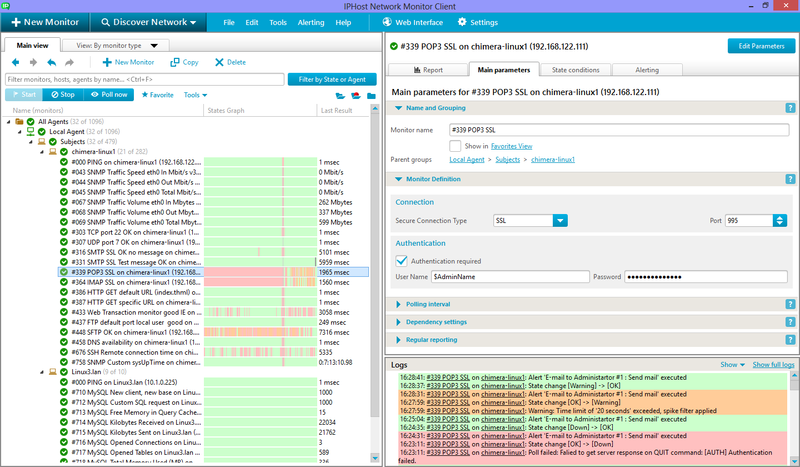 WMI monitors (on Windows-based systems) and SNMP monitors (on all systems supporting SNMP) can be used to monitor CPU and RAM usage, to detect whether a certain application is running, control its particular resources usage, thus making it possible to alert promptly if the application starts behaving abnormally. Web Transaction Monitor can be used if application uses HTTP-based user interaction; this can be used for both stress-testing and bugs fixing checks, as well as for making sure the application responds within an acceptable time range. Program or script monitor allows to run any type of tests in case other monitor types are not capable of it. Scripts and programs can use predefined amount of data to run a variety of tests, thus allowing to monitor the testing process closely. Depending on the actual application, other types of network monitors can also be used to watch specific aspects (services, modules etc) used to either develop the application or being parts of the application itself.